The prehistory of the firm of Fonseca Guimaraens lies in the late 1700s, in a company known as Fonseca & Monteiro, located in Oporto. The Fonseca family was of Brazilian origin, and conducted its trade in wine, foodstuffs, olive oil and cloth primarily with Brazil in exchange for sugar cane, hemp and snuff from the colonies. The present firm, however, was not formally founded until 1822, when Manuel Pedro Guimaraens acquired control of the company through purchase of the majority of the Fonseca holdings. Born on June 6th, 1798, in the town of Sao Romão da Ucha, Barcelos, Manuel Pedro travelled extensively to Brazil, both for his own account and that of Fonseca & Monteiro. By the 1820s, Fonseca & Monteiro dealt solely in Port wines. As a condition of the sale of his shares to young Guimaraens, the departing Fonseca stipulated that his name be retained not only as a brand name, but also as a family name for whoever should own the business. Records of the company's early years under ‘MPG’, as he is affectionately called by his descendants, were largely destroyed during the years of political upheaval which plagued Portugal until the mid-1830s. It is known that Angelica Monteiro and Joao dos Santos Fonseca held some interest in the company until the beginning of that decade. More, however, is known about Manuel Pedro Guimaraens' political activities. By age 21 he had already become deeply involved in the liberal movement which swept Europe in the wake of the French Revolution of 1789. When the civil war known as ‘The War of Two Brothers’, broke out between the reigning absolutist, Dom Miguel, and supporters of his liberalist brother, Dom Pedro, Manuel Pedro was already a close friend and ally of the liberal militant leaders in northern Portugal. Forced to flee the country several times, in 1834 he departed Portugal for the last time, smuggled aboard a ship bound for London in an empty port pipe. Exiled in London, he continued his advocacy of the Liberal cause before the Court of Saint James and Parliament, and organized a system through which funds could secretly be channeled from Portugal to Portuguese political refugees throughout Europe. The success of the liberal revolution of 1832 was so greatly aided by Manuel Pedro's contribution that in 1835, Portugal's new queen, Dona Maria da Gloria II, named him Member and later Knight Commander of the Order of Christ. Though by this time married to a British woman and permanently settled in London, Manuel Pedro Guimaraens never relinquished his Portuguese citizenship. Still staunchly patriotic, he divided the hours not devoted to Fonseca, Monteiro & Guimaraens among politics, lavish entertaining and an expertise on pelargonium, which led him to become one of the early members of the Royal Botanical Society. The headquarters of his rapidly expanding company were moved to London. The firm shipped its first vintage port, the 1847, to England. In 1862, following Manuel Pedro's death in 1858, Manuel Fonseca and his two younger brothers, Pedro Gonçalves and Fredrico Alexandre, bought out the Monteiro interest and amalgamated the British and Portuguese branches of the firm, which for political reasons had until then been separated and named it M.P. Guimaraens & Sons. While Quinta de Terra Feita was under contract with Fonseca to supply port, the 1909 and 1911 vintages were released under the Quinta de Terra Feita label and not under a Fonseca label. In 1927 the London office was dissolved and the headquarters re-established in Portugal. 1931 is considered to be the first vintage under the Fonseca-Guimaraens label. 1931 was also sold as Fonseca Special Reserve and the vintages 1933 and 1934 were released under both Fonseca and Fonseca-Guimaraens labels. However, after that, the company decided to use just one label for each vintage year. 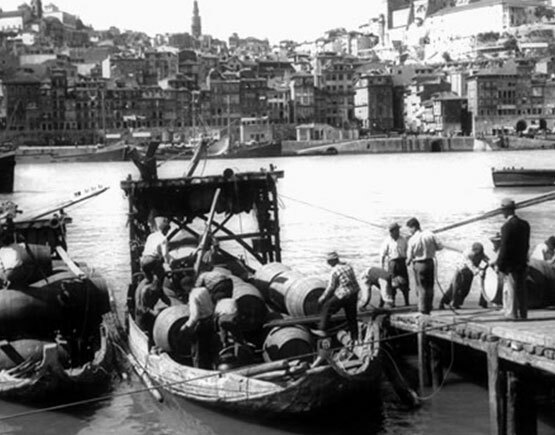 Over the next two decades, the exceptional consistency and worldwide reputation for quality of Fonseca Ports was perpetuated by Patrick Guimaraens, who remained the company's promoter in London, and his cousin Frank Guimaraens, who controlled production in Vila Nova de Gaia. In 1948, the difficulties of the war years led to a consolidation of ownership of Fonseca Guimaraens with Taylor, Fladgate & Yeatman. Fonseca may indeed be unique in the annals of Port in that every Fonseca Vintage Port, with the exception of the 1955, produced by Dorothy Guimaraens, was made by one of three persons: Frank Guimaraens, from the 1896 through the 1948 vintage; and Bruce Duncan Guimaraens, Winemaker and greatgreat grandson of the founder, from the 1960 vintage to 1995 when his son David took over. This remarkable continuity of winemaker is clearly evident in the wine. Consistency of style has remained one of the fundamental principles of the Fonseca philosophy since its founding. It must be remembered that Fonseca-Guimaraens is not a single quinta vintages, but a blend from the same quinta as the classic Fonseca vintage come from and made in years which are not classic. The Fladgate Partnership company always declare their Vintage Ports on St George’s day (23 April). The Quinta do Cruzeiro has for decades been the heart of Fonseca's vintage ports. In 1973, the company purchased this superb property from the heirs of the recently deceased proprietor. They have also started making a Single Quinta Vintage port from this quinta. In 1978 Fonseca acquired the Quinta do Panascal, a substantial property located in the spectacularly beautiful Tavora Valley to the south of the Douro River. The third Fonseca property, the Quinta de Santo Antonio, has also long been a traditional source for Fonseca's vintage ports and was purchased in 1979. The history of the firm of Fonseca Guimaraens lies in the late 1700s, in a company known as Fonseca & Monteiro, located in Oporto. The Fonseca family was of Brazilian origin and conducted its trade in wine, foodstuffs, olive oil and cloth primarily with Brazil in exchange for sugar cane, hemp and snuff from the colonies. The present firm, however, was not formally founded until 1822, when Manuel Pedro Guimaraens acquired control of the company through the purchase of the majority of the Fonseca holdings. In 1948, the difficulties of the war years led to a consolidation of ownership of Fonseca Guimaraens with Taylor, Fladgate & Yeatman. This consistency derives not only from the continuity of family involvement, and the knowledge and skill passed down from one generation to the next but also a close link with the vineyard. The firm's three estates of Cruzeiro, Panascal and Santo António are the heart of the distinctive character of Fonseca's Vintage Ports. 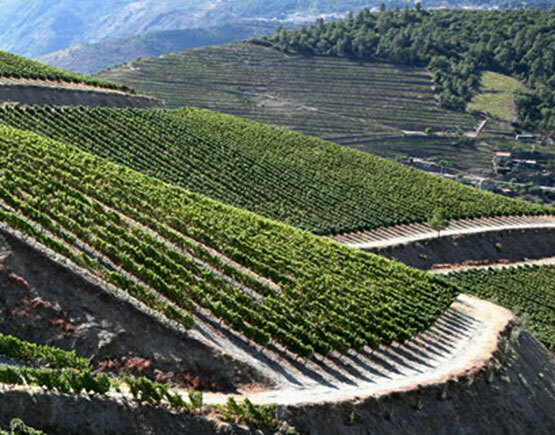 Fonseca's respect for the vineyard and the unique environment of the Douro Valley expresses itself in the firm's leadership in the field of sustainable and organic viticulture. It was the first house to offer a Port made entirely from organically produced grapes. 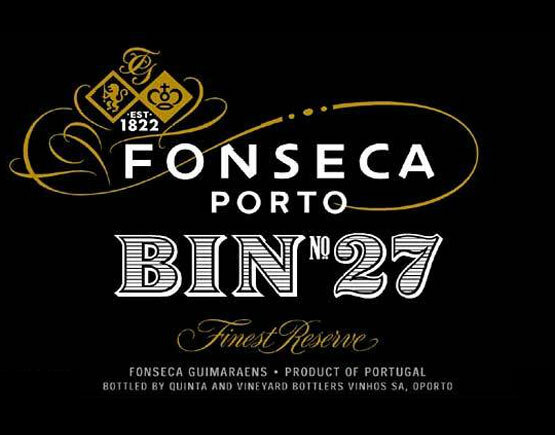 However, for many wine enthusiasts around the world, Fonseca is best known as the producer of Bin No.27. This little reserve Port launched four decades ago, is one of the most popular and successful Port blends. 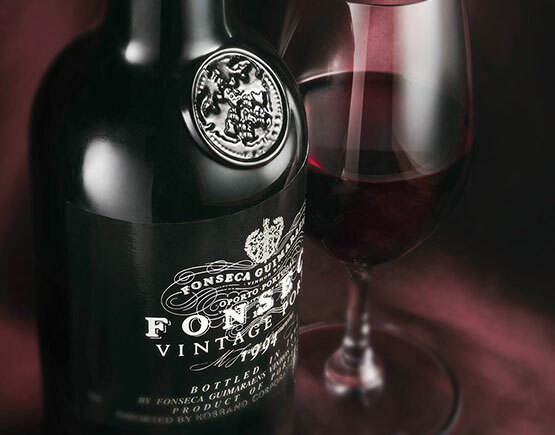 Sharing the heritage of the great Fonseca Vintage ports, it displays the rich fruity character which defines the Fonseca house style. Perhaps more than any other Port house, Fonseca has built a loyal community of Port enthusiasts who value its individuality and the unique character of its wines. These include connoisseurs, collectors, sommeliers, and restaurateurs as well as those who merely enjoy drinking its wonderfully rich and complex Ports.